Do you have any of the following skin issues? Microdermabrasion at Medical Aesthetics of Woodbury® is performed exclusively using our Viora physician-grade diamond microdermabrasion unit. Unlike the inferior crystal microdermabrasion units used by many spas and salons, our diamond coated treatment heads are autoclavable (i.e. able to be sterilized) between patients, ensuring the cleanliness of the equipment and the safety of our patients. Diamond microdermabrasion systems may more deeply resurface the skin than crystal-based units while avoiding the dirty, gritty residue that remains on the skin after a crystal microdermabrasion. The state-of-the-art diamond microdermabrasion technology available at Medical Aesthetics of Woodbury® allows our procedures to be painless, non-invasive, safe and effective. And typically, there is no downtime and no recovery time after the procedure. 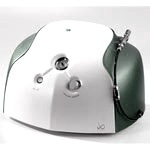 The diamond microdermabrasion system at Medical Aesthetics of Woodbury® is equipped with numerous grades of interchangeable diamond-studded heads, to customize the appropriate level of abrasion for each patient. A controlled suction (vacuum) component gently assists removal of the exfoliated skin leaving your complexion fresh, rejuvenated, and smooth. Although most commonly performed on the face, microdermabrasion may also be a wonderful way to improve the complexion, tone, and texture of other areas of the body (including the back, chest, and legs). If your skin is a bit rough or the tone a bit uneven, a microdermabrasion procedure before a big night out -- to refresh and enhance skin exposed by a slinky dress -- may be just what you need! Microdermabrasion is an appropriate choice to improve many skin conditions and is effective and safe for all skin types. No wonder it has become one of our most requested procedures. Schedule a consultation at Medical Aesthetics of Woodbury® and we'll discuss whether microdermabrasion may be the right treatment for you.